Waddell, Heritage Collection, Dimensions: 48"W x 18"D x 70"H. Weight: 245 lbs. Hardwood frame construction. Four adjustable glass shelves. Locking sliding glass doors. Ships fully assembled. 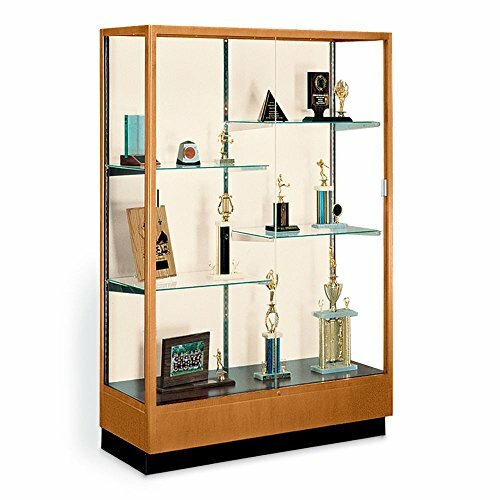 Waddell Heritage series classic style display case with fabric backing is constructed with a hardwood frame and tempered safety glass. Display case features locking sliding glass doors, four adjustable glass shelves, and adjustable leveling glides. Ships fully assembled. If you have any questions about this product by Waddell, contact us by completing and submitting the form below. If you are looking for a specif part number, please include it with your message.